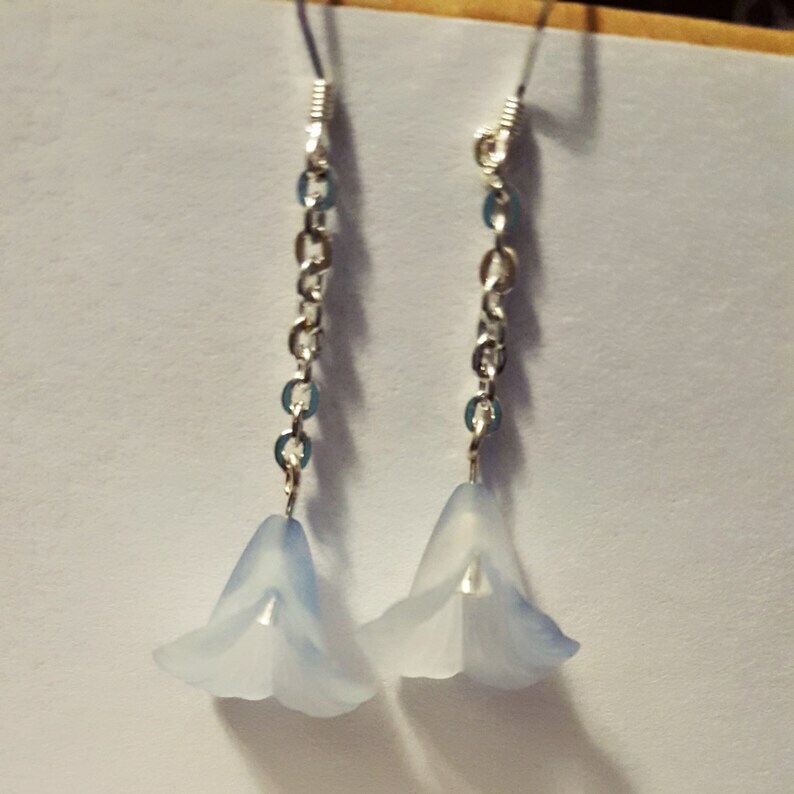 Beautiful pale blue flower blooms accented with a crystal dew drop on silver chain. Earring wire is Sterling Silver plated. The blue is so pale it looks more white in photos, but I promise you can see the blue in person. I also have darker blue and purple shades for the blooms. See last image for colors.